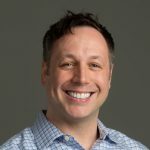 At Red Hat, Scott McCarty helps to educate IT professionals, customers, and partners on all aspects of Linux containers, from organizational transformation to technical implementation, and works to advance Red Hat’s go-to-market strategy around containers and related technologies. He also liaises with engineering teams, both at the product and upstream project level, to help drive innovation by using feedback from Red Hat customers and partners as drivers to enhance and tailor container features and capabilities for the real world of enterprise IT. Scott has experience across a variety of companies and organizations, from seven person start-ups to 8,000 employee technology companies. This has culminated in a unique perspective on open source software development, delivery, and maintenance.